There are few things in this world better than chocolate and peanut butter. 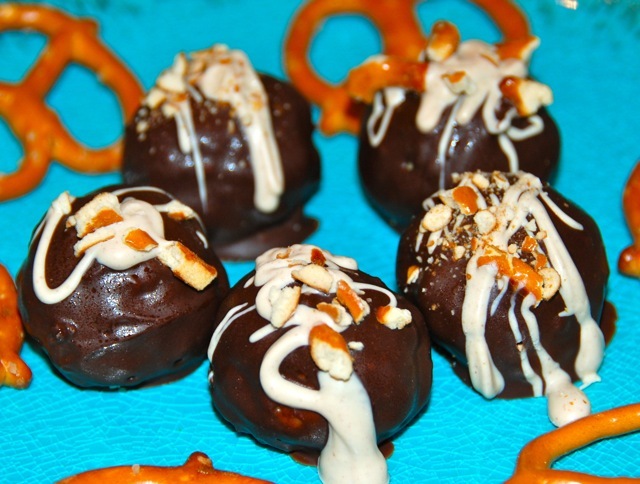 Chocolate, peanut butter and pretzels might just be one of them. Hailing from the Northeast, I grew up thinking (correctly) that Ben & Jerry’s was just about the best ice cream in the world. Especially when it comes to kooky flavor combinations, there is no competition. Of all the many, many delicious flavors of B&J’s, my number one favorite has always been Chubby Hubby. Chocolate-covered peanut butter-filled pretzels in vanilla malt ice cream with chocolate and peanut butter swirls. I mean, come on. REALLY? 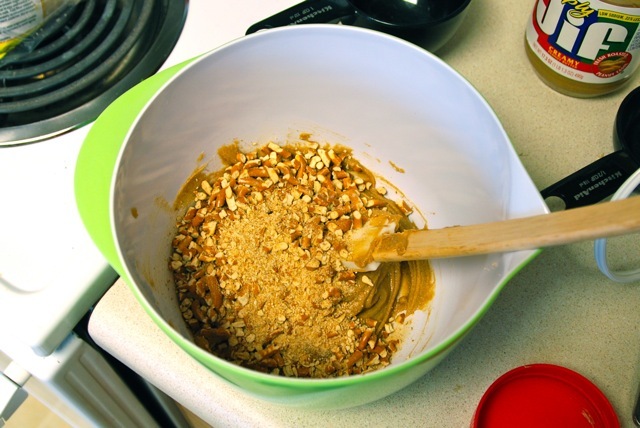 Sweet, salty, peanut-buttery. Sometimes I just sit and daydream about it. When I saw my favorite combo reworked into another dessert, obviously I was sold. 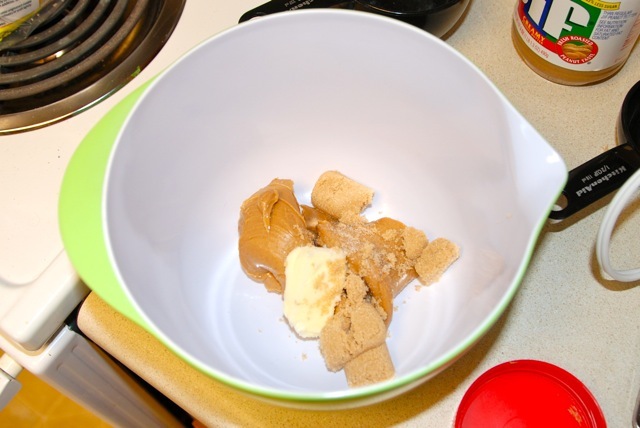 In a bowl, combine the peanut butter, butter, brown sugar and salt. 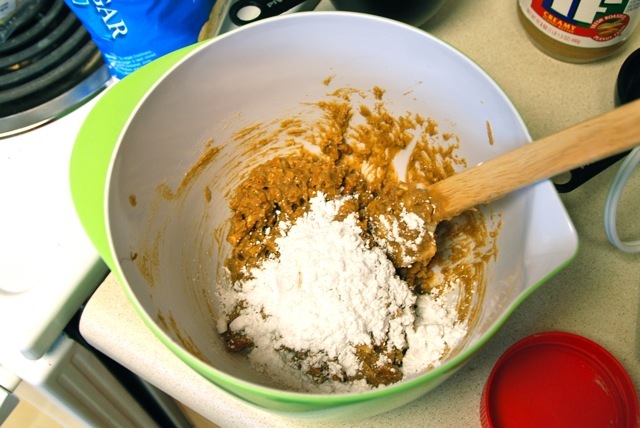 Stir until all of the ingredients are completely blended. 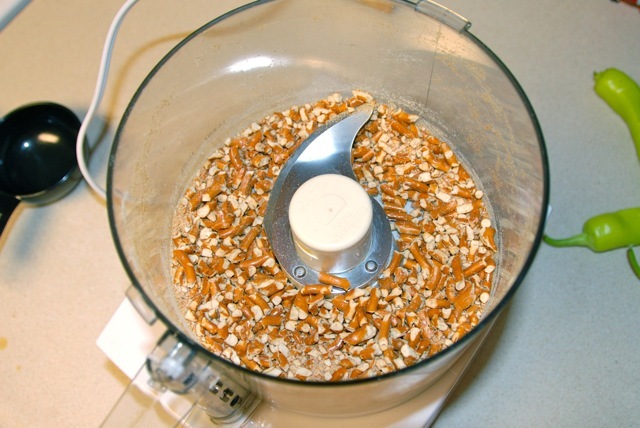 Add the pretzel pieces and mix thoroughly, then add the powdered sugar and mix until completely combined. Line a baking sheet with wax paper. 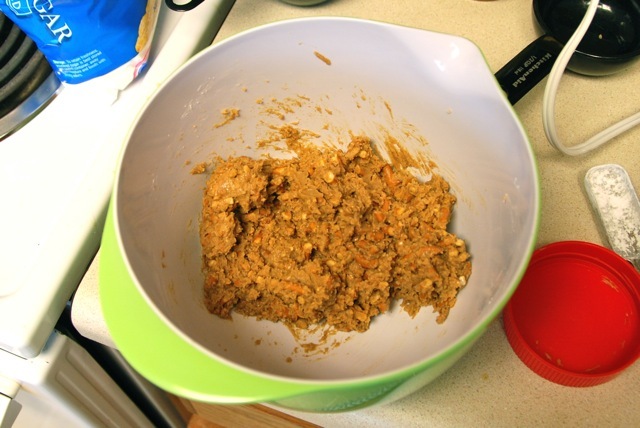 Scoop out about 2 teaspoons of the peanut butter mixture and roll into a ball. 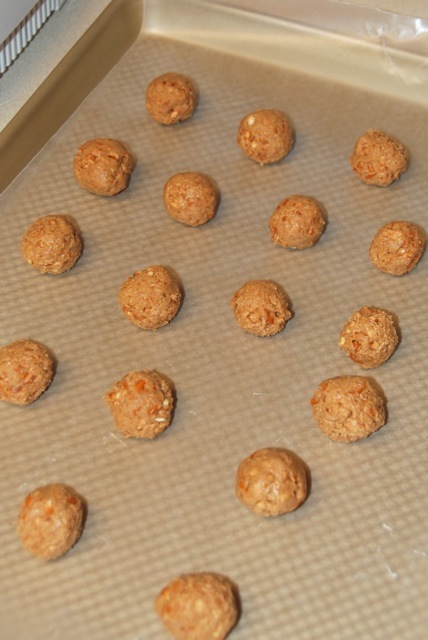 Place the ball on the wax paper-lined cookie sheet and repeat with the remaining peanut butter mixture. Place the baking sheet in the refrigerator and chill 30 minutes. 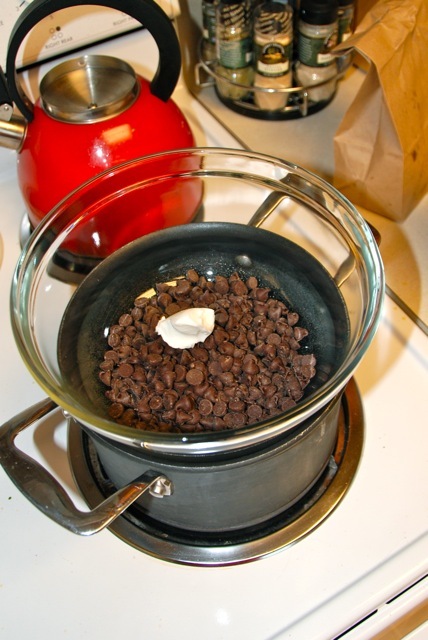 In a double boiler over low heat, melt the chocolate chips and shortening, stirring to combine. Working one at a time, dip the chilled peanut butter balls into the melted chocolate, coating completely (using a fork makes it easy). Let any extra chocolate drip off and place back on the wax paper-lined baking sheet. Repeat with all of the peanut butter balls. 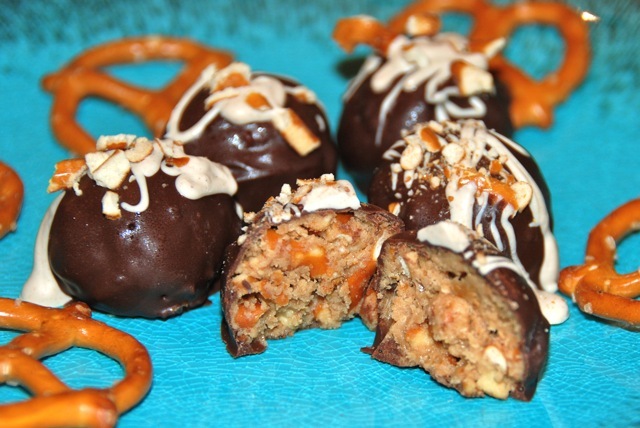 Garnish with melted peanut butter and extra crushed pretzels. Place the baking sheet back in the refrigerator and chill an additional 30 minutes. Store in an airtight container in the refrigerator. The truffles? Amazing. I mean, obviously. How could they be bad, really? My only complaint was that the chocolate was a little soft (probably because Mississippi is 110 degrees in June). Next time I’d use Almond Bark or Wilton chips instead of regular choco chips to make them a little sturdier! I brought these to a friend’s along with my Corn and Roasted Jalapeno Hummus. These disappeared even faster than the hummus!